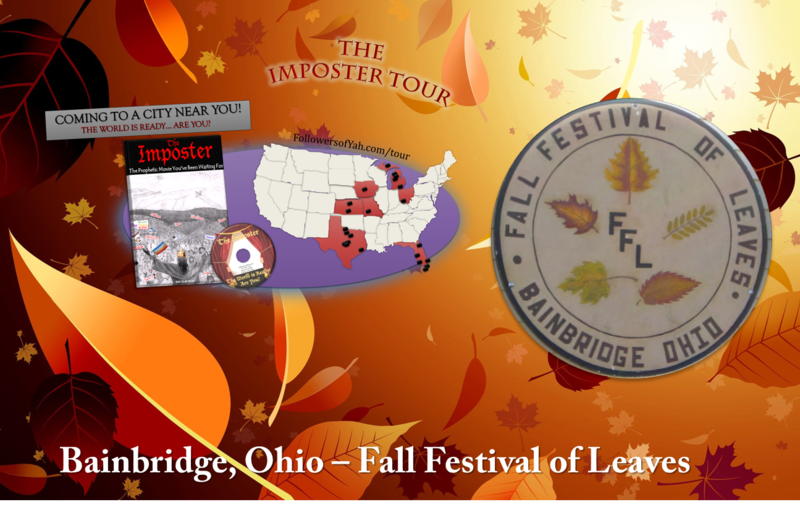 When we lived in Ohio about 5 years ago we would always go to the Bainbridge, Ohio Fall Festival of leaves. The entire town is lined up with tents of flea market, arts & crafts, toys apparel and games and carnival rides. Well, Fall 2014, we got to setup a tent and give away our DVDs. It was lots of fun. Yeah, I know, it’s awful late to post about this but we completely forgot about it. We can’t find the pictures we took either, but when we do we will post them. 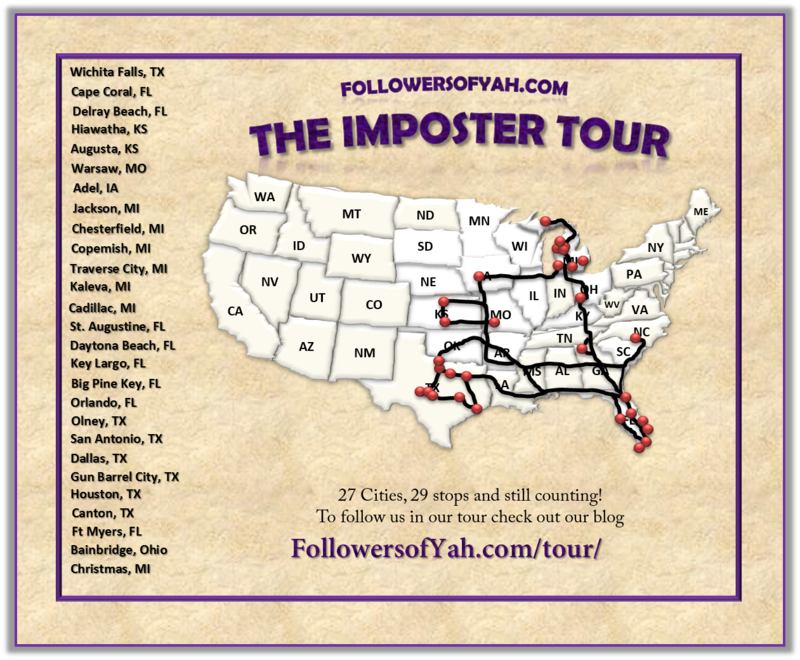 That makes 27 cities, 29 stops AND 7 states we’ve stopped to in this tour.